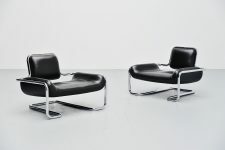 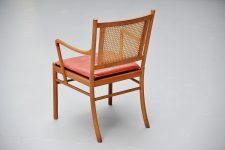 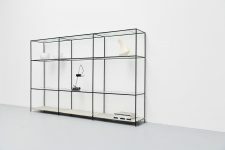 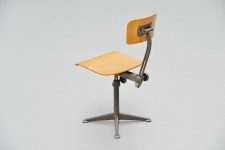 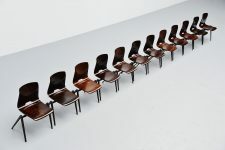 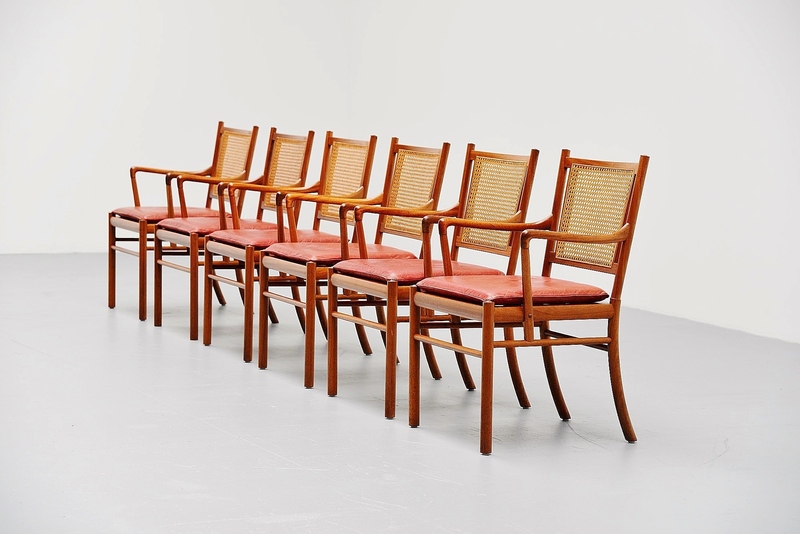 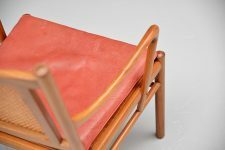 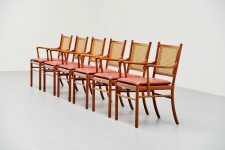 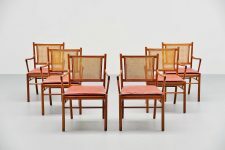 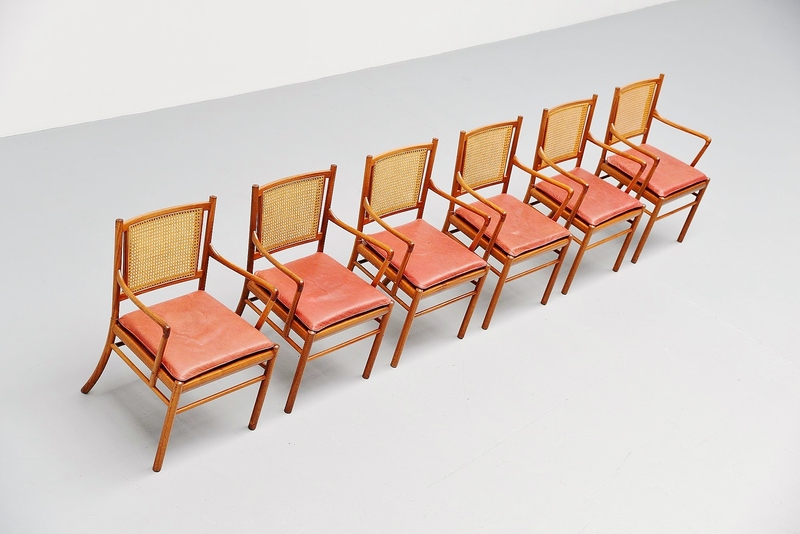 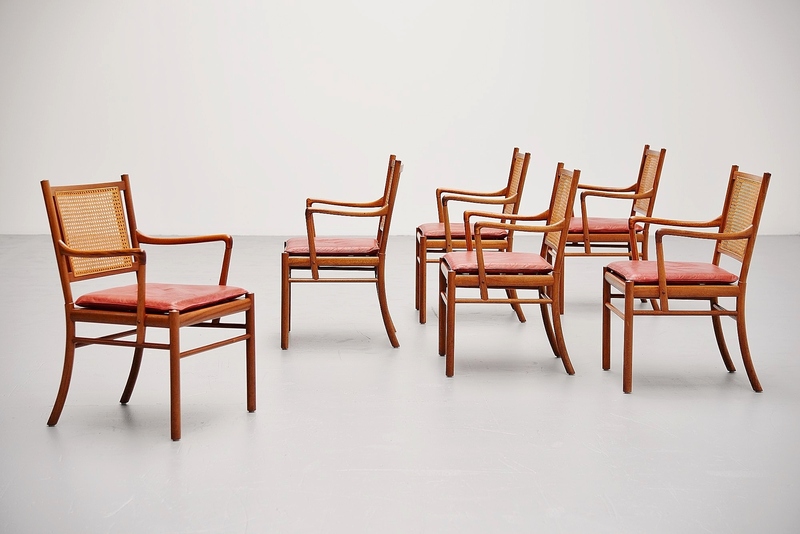 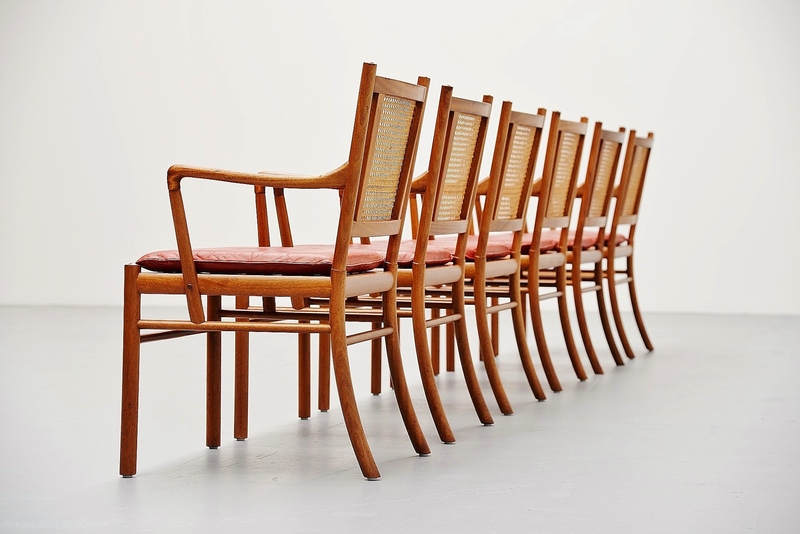 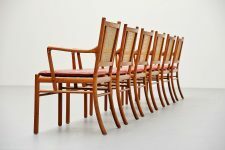 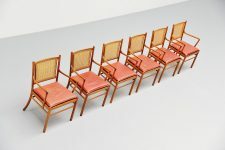 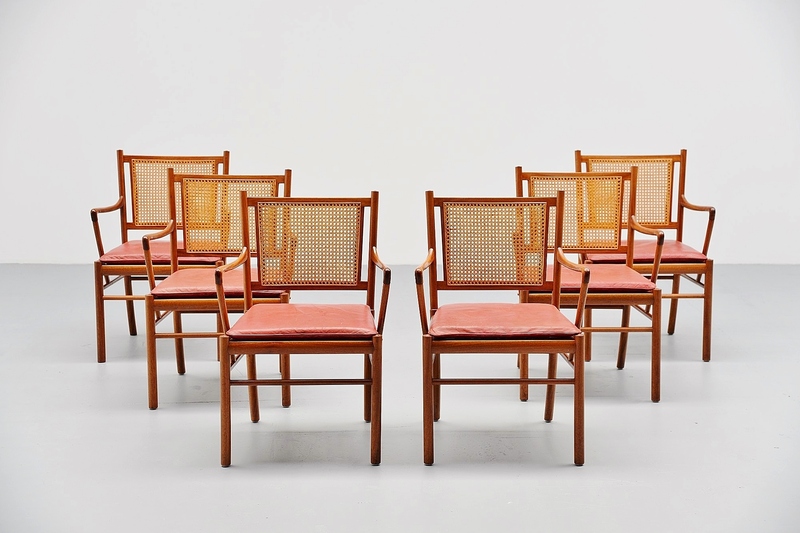 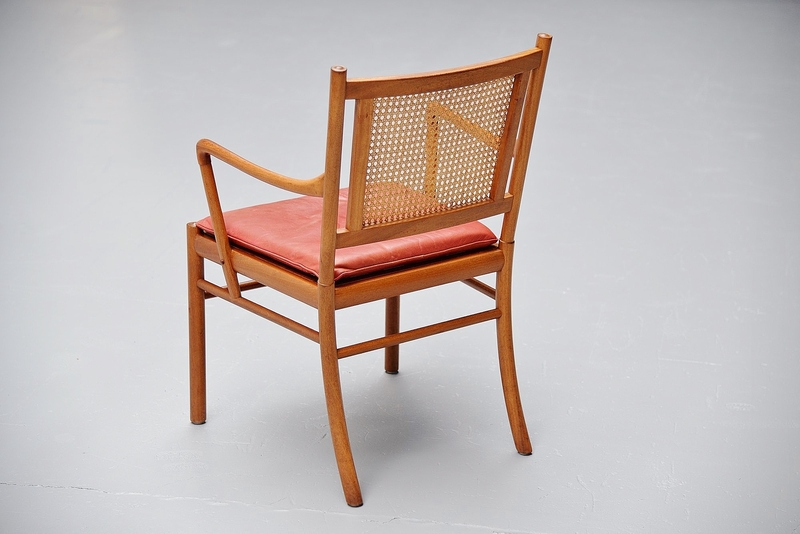 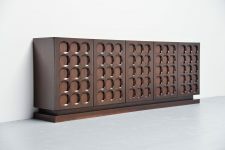 Highly rare set of 6 dining chairs, model colonial, designed by Ole Wanscher, produced by Poul Jeppesens Denmark 1960. 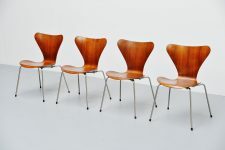 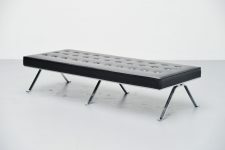 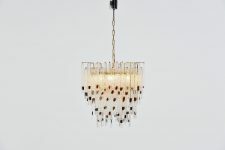 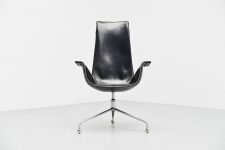 These chairs are very hard to find especially in a set of 6 like these. 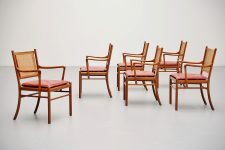 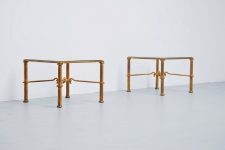 The chairs have a solid teak wooden frame and have a cane back. 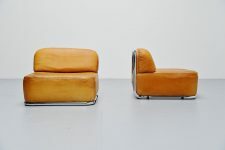 They still have their original red leather seats which has a nice patina to it and some craquele. The cushions have new filling so normally the cracks will not get worse. 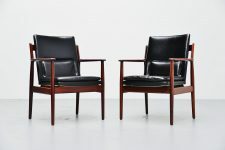 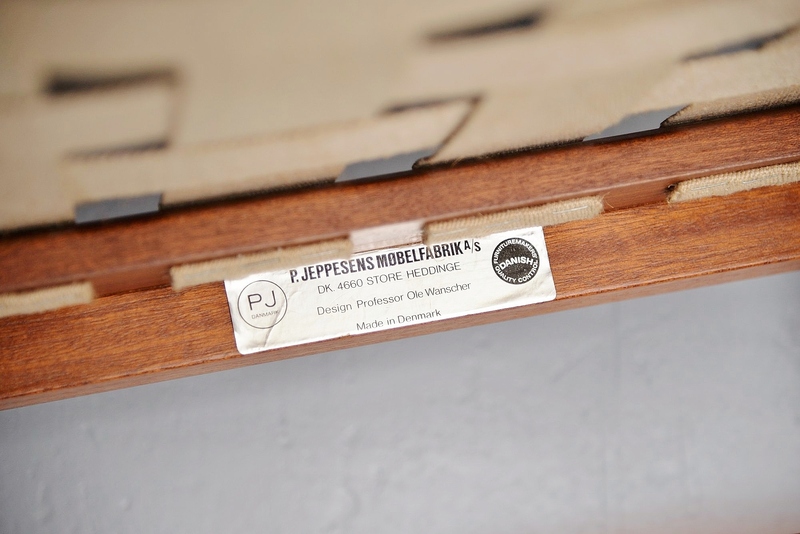 The chairs are marked with the PJ sticker and are in very nice original condition.